The Flu is a highly contagious respiratory illness caused by Influenza viruses that tend to be active from November through March each year. 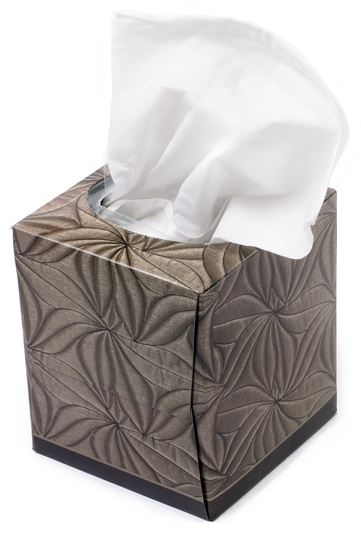 Flu spreads from person to person either through airborne or surface contamination. People are most contagious in the first seven days of contracting Influenza and are capable of transmitting the virus to others before the onset of Flu symptoms. Influenza is not that serious, I’ve had it before and I was fine…? Many people mistakenly use the term ‘flu’ to describe virus caused illnesses such as a stomach virus or a common cold. The influenza virus is much more severe and can lead to life threatening secondary illnesses for young children, the elderly, and other immune compromised groups. Influenza viruses take anywhere from 24-72 hours before you begin to show symptoms after exposure, making you a carrier before you are even aware you are ill. Maybe you are in relatively good health or don’t have to worry about life threatening complications, but Influenza is a contagious virus that poses significant risks to those around you who are in a higher risk group for complications (infants, expectant women, the elderly, those with compromised immune systems) and may be exposed to Influenza by virus carriers who are asymptomatic. Inactivated Influenza vaccine cannot give you the flu. The vaccine contains killed viruses that cannot cause infection. Mild symptoms such as runny nose, sore throat, fever, cough, and/or congestion may be experienced by the live attenuated vaccine (given as a nasal spray), but these symptoms are much less severe and last a much shorter duration than contracting the Influenza virus. I am pregnant and/or breastfeeding, is the Flu Shot safe for me and my baby? The inactivated Influenza vaccine is safe for expectant and/or breastfeeding mothers. Women in their second/third trimester, as well as infants under six months of age, are at a greater risk of complications/hospitalization from Influenza. Visit us today to get your Flu Shot, or to talk to one of our qualified healthcare team members about the benefits of Influenza vaccine. Each year Influenza causes an estimated 1 billion infections, 3 to 5 million cases of severe illness, and about 250,000 to 500,000 deaths worldwide. In Canada, Influenza causes approximately 12,000 hospitalizations and 3,500 deaths each year. This creates a strain not just on public health, but also a strain on our provincial healthcare system. Increased clinic visits, treatment for secondary infections, and hospitalization causes increased wait-times, delays in appointments, and walk-in clinics having to close their doors early due to treatment limitations. Symptoms of Flu usually include fever, chills, muscle/body aches, fatigue, headache, cough, nasal/chest congestion, runny or stuffy nose, and sore throat. Some may experience vomiting and/or diarrhea, but this is usually more present in children with Flu than adults. 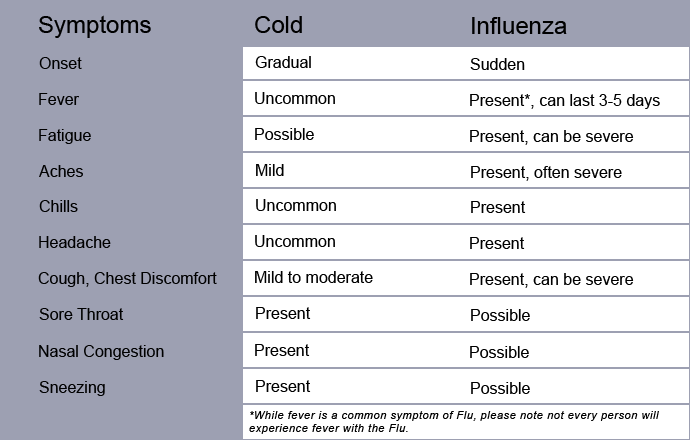 Key differences between the Flu and a cold is Flu symptoms are usually much more severe than cold symptoms and also have a much quicker onset than cold symptoms. Think you or your family has the Flu? Most people who contract the Flu will experience the illness without the need for medical or antiviral drug intervention. The best thing to do is stay home and avoid contact with others unless it is to seek medical care. If you or your loved one is a higher risk for flu-related complications (infants, expectant mothers, the elderly, those with asthma, diabetes, or heart disease) it is best to seek out medical care early in your illness and make them aware that you are a high-risk status for flu complications.